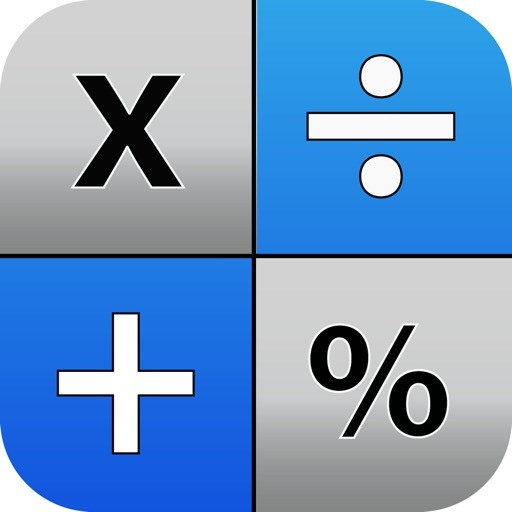 Paper Calc Office is an easy to use, large key, 4-function calculator tailored for the office environment. 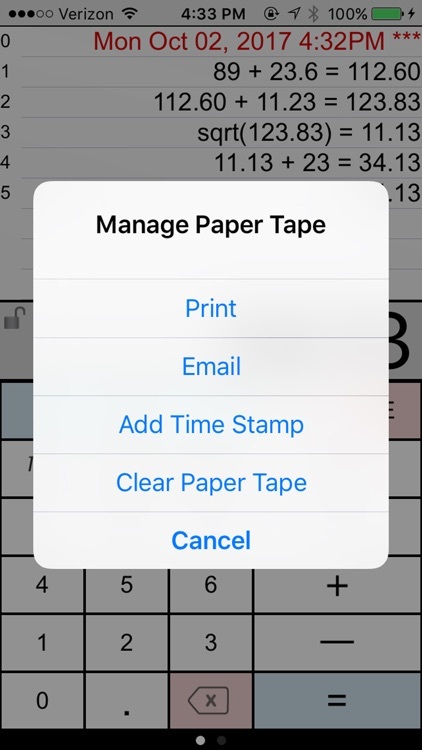 Use the powerful paper tape to review numbers you've entered, email, timestamp, put comments on any line, or bring a number from higher in the paper tape down into the current calculation. Selected by MagicSolver for Free App Magic of the day! 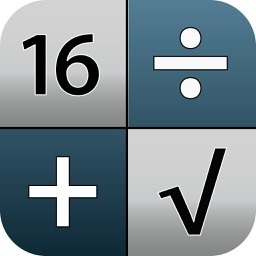 Selected by AppTurbo for Free "App of the Day" ! Make the keys larger by sliding the LCD display up, or show more paper tape by moving the LCD display down. Two keyboards are included, or, make & save up to three of your own. > Full-screen view of the paper tape on the right-side scroll page. > Double tap the calculator's LCD display to clear the paper tape. 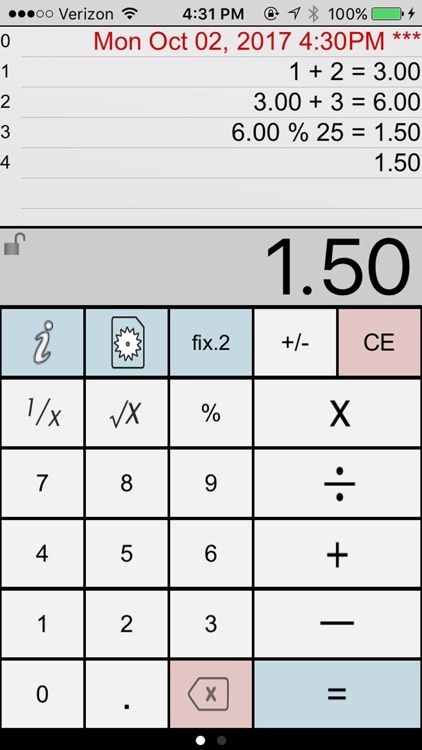 > Includes an evaluation version of Accountant Calc Lite (see the App. store listing for details). > Move the calculator's LCD display to resize the keyboard. > Create and save custom keyboard layouts to suit your personal needs. > Hide rows of keys for extra paper tape space. > Options are easy-to-access in the scroll-to-left view window. Q1. 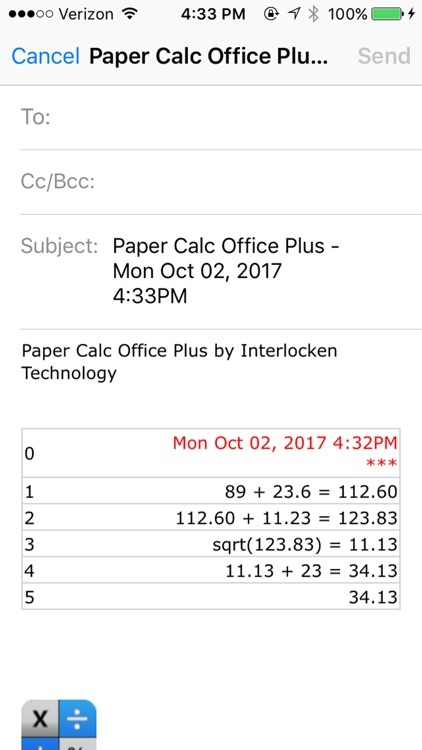 How does 'Office' differ from the other PaperCalc calculators? A1. 'Office' has been designed as an easy to use chain calculator with basic math functions. The emphasis is on ease-of-use and an easy-to-follow paper trail of calculations performed. Q2. 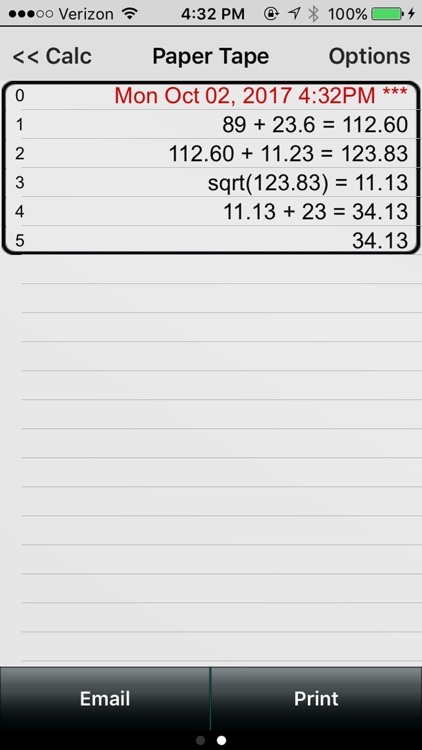 How do I bring a number from the paper tape into my current calculation? A2. Touch any line of the paper tape and select the number from the menu. Q4. How do I use the '%' key? 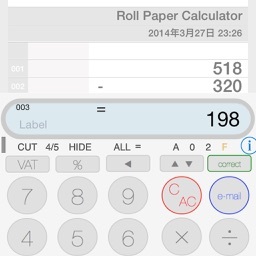 - PaperCalc took 5% of 200. Q5. How do I customize the keyboard layout? A5. Press the large "i" (info) key. Select "Edit Keyboard Layout". Then touch and move keys to change locations. 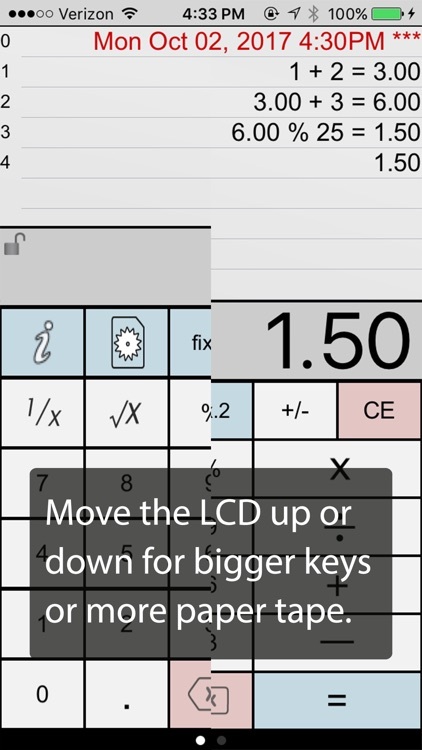 Tap keys to change sizes. Save custom keyboard layouts and rename them for later use. Q6. How do I hide the top row of keys for additional Paper Tape space? A6. 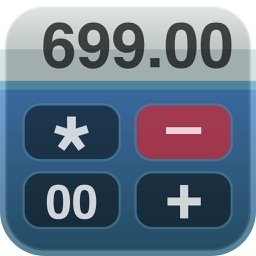 Just touch and move the Calculator's LCD display until the keyboard background flashes red. Release the LCD and the keys will remain hidden.